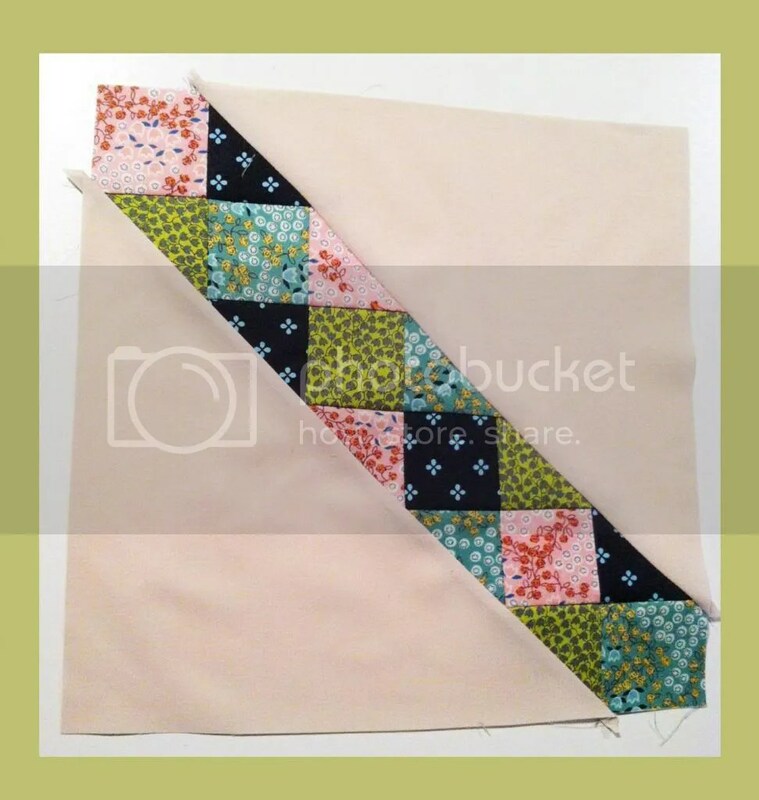 This month the Modern Blocks Quilt-a-long prize is going to be vote based rather than a random drawing. 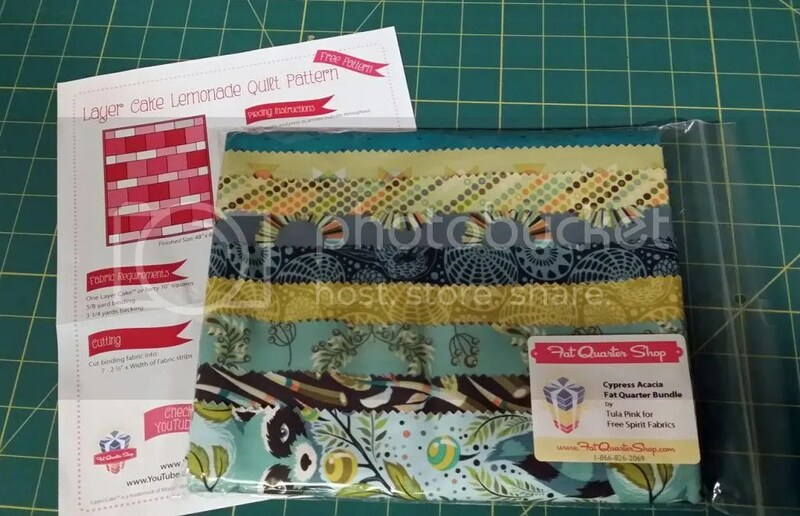 The prize this month is a: Fat Quarter Bundle of Cypress Acacia by Tula Pink for Free Spirit Fabrics. 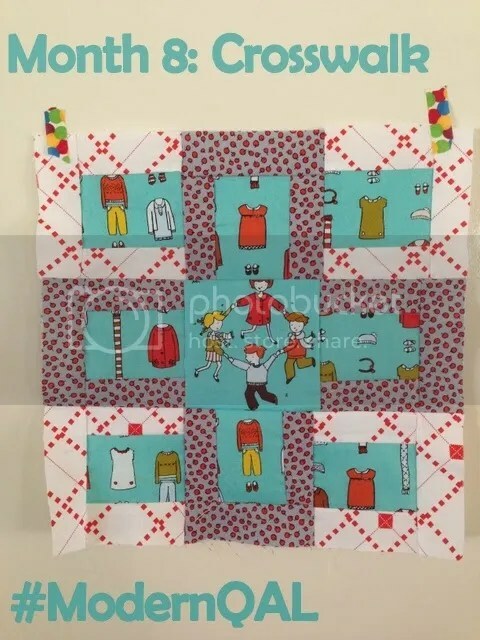 I sure would like to win, so if you don’t mind head on over to And Sew We Craft Block 6, scroll all the way to the bottom of the post and click on “Like” beneath block #2 by CollectCreateCirculate.com (which is my blog title). My block is pictured in this post, so just look for that on their website and click “Like” beneath it! Don’t worry, you won’t receive a bunch of crazy emails for liking my block, your “like” is just one more vote for me to win some awesome fabric! Recently I have been getting whipped by another block, so it’s time for a come back. I can only win this with your help! Show me the love! There are eleven days left to vote, and each day as my votes increase, so does the other block’s and somehow she always stays about 8 votes ahead. So if you can go back to the website a few times! You can only vote once a day from the same ip address, so I could use help from supporters of this blog to make up the difference! Please, please, please, don’t make me beg! 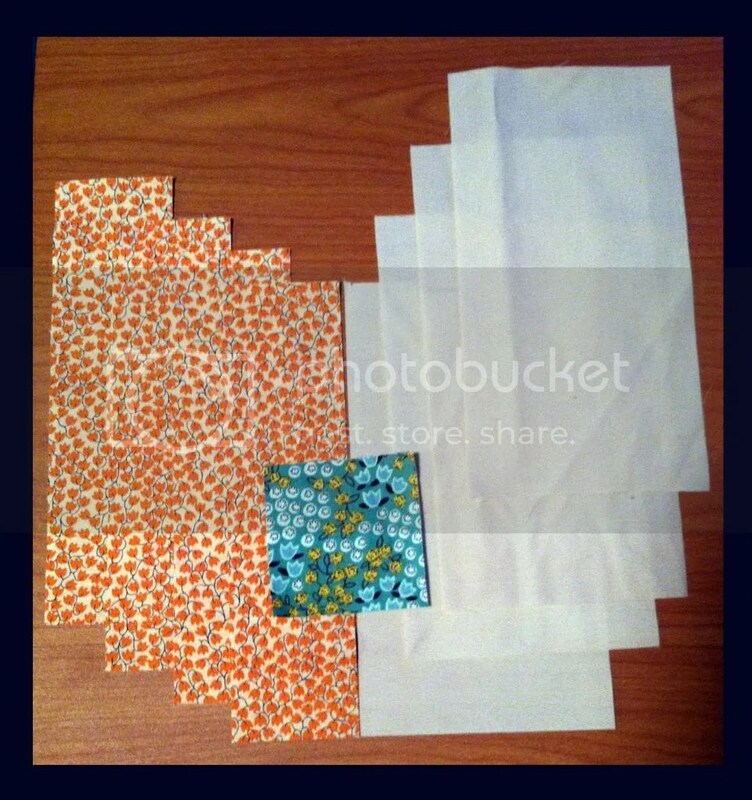 I would love to do some fun projects with the Cypress Acacia fabrics and share it here for all of you to see! And she’s on a roll! And by “she” I mean me! 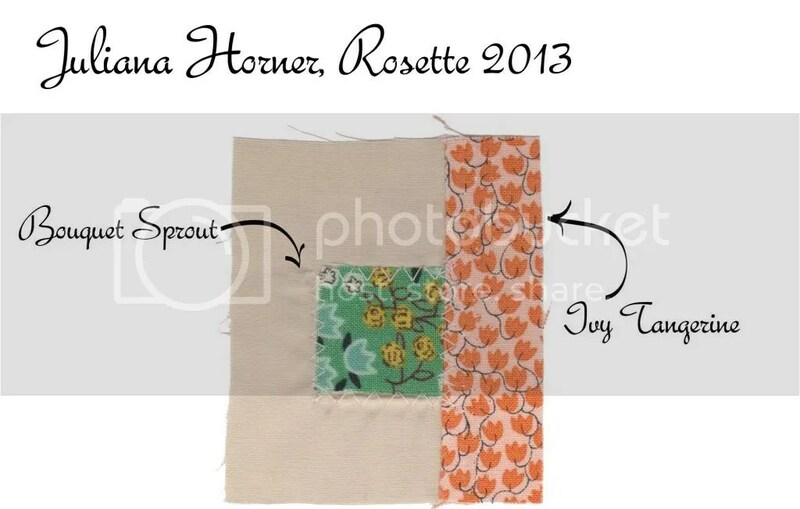 The ladies of And Sew We Craft posted the October block yesterday! They are in Australia, so for them it was right on time (10/01), and for me in the Midwest United States it was a day early (9/30)– which was fine by me! 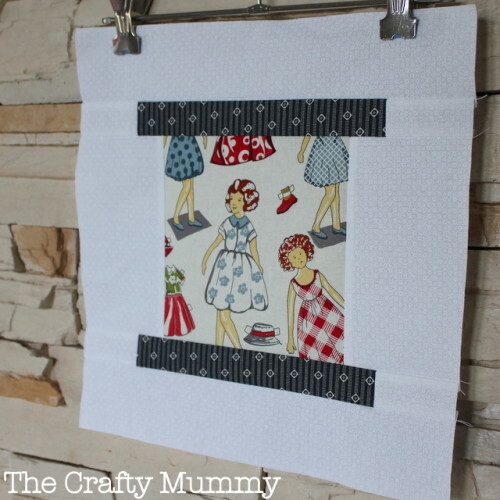 This month’s block is the Best Friends block, it was hosted by Anorina over at the blog Samelia’s Mum. She gave a little background on the block, apparently the original designer is Angela Pingle who runs the blog Cut to Pieces. 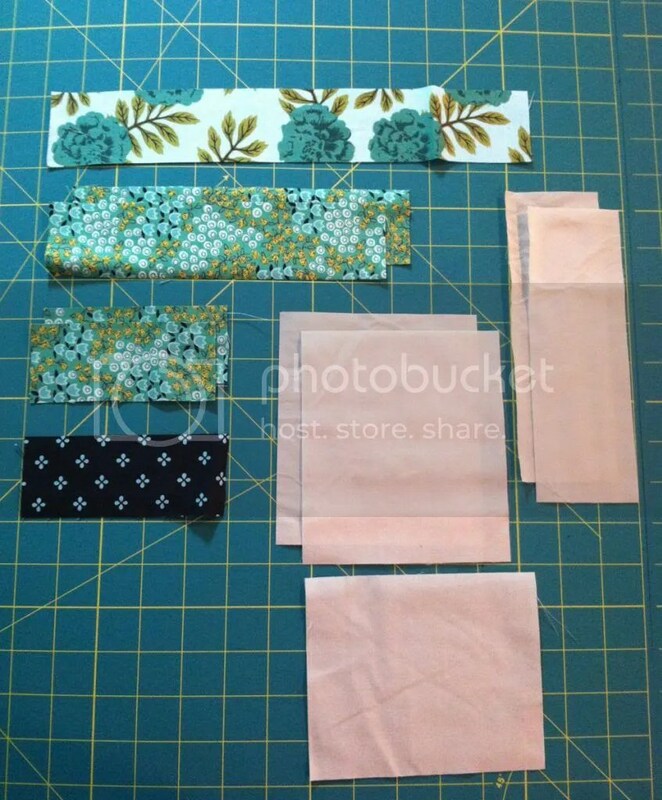 I have never come across Cut to Pieces, so I am excited to have another crafty blog to check out. Above is Anorina’s block, she used a directional print so she utilized some special cutting instructions so that her elephants all run the same direction. 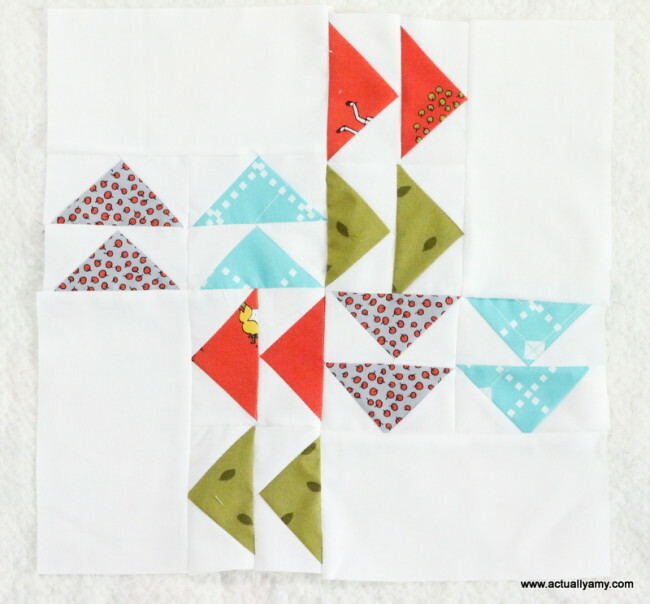 Her tutorial for the October Best Friends block is here! 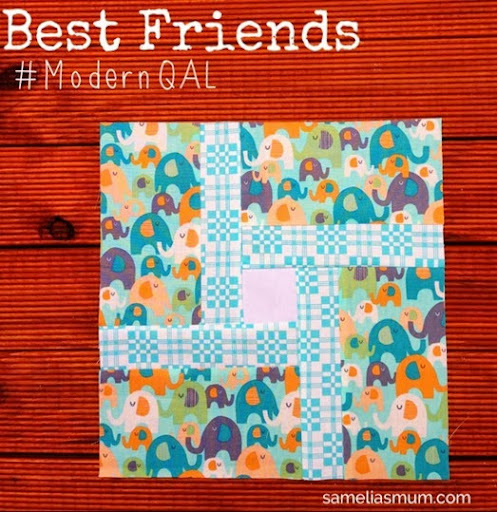 Amy at And Sew We Craft shared her Best Friend block in this month’s Modern Block Quilt a Long Introduction Post. She also cut her pieces with a directional print, and even fussy cut the adorable center piece to align the hula hoop girl! I love what they both did with their directional prints, but In order to keep with my theme, I also wanted to maintain a similar use of my background fabric, so I cut the larger rectangles from my neutral solid. I was somewhat bummed to leave so much of the block blank when everyone else is employing such awesome prints for their blocks, but really this meshes better with my other blocks. 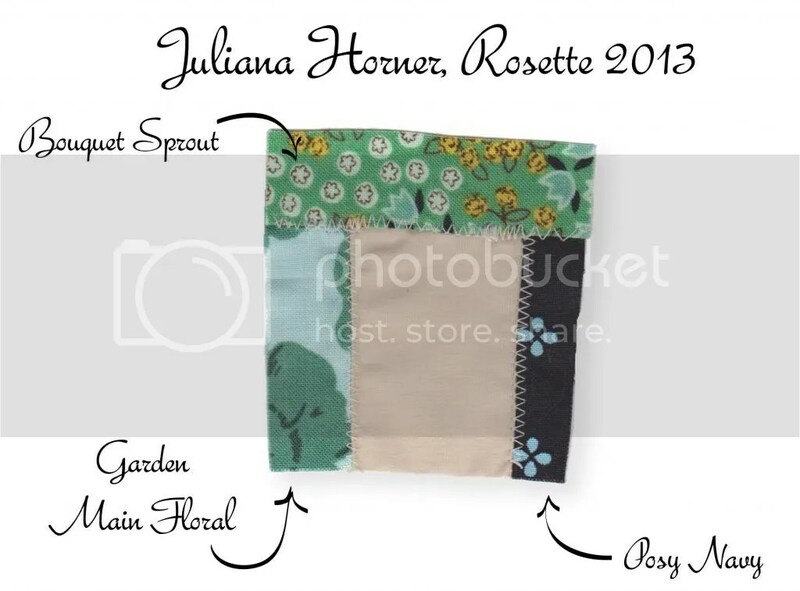 Again, I used Juliana Horner’s 2013 Rosette fabric line which is sold exclusively at JoAnn’s Fabrics, which by the way I am in love with. It is so sweet with it’s blend of traditional and modern motifs and colors. 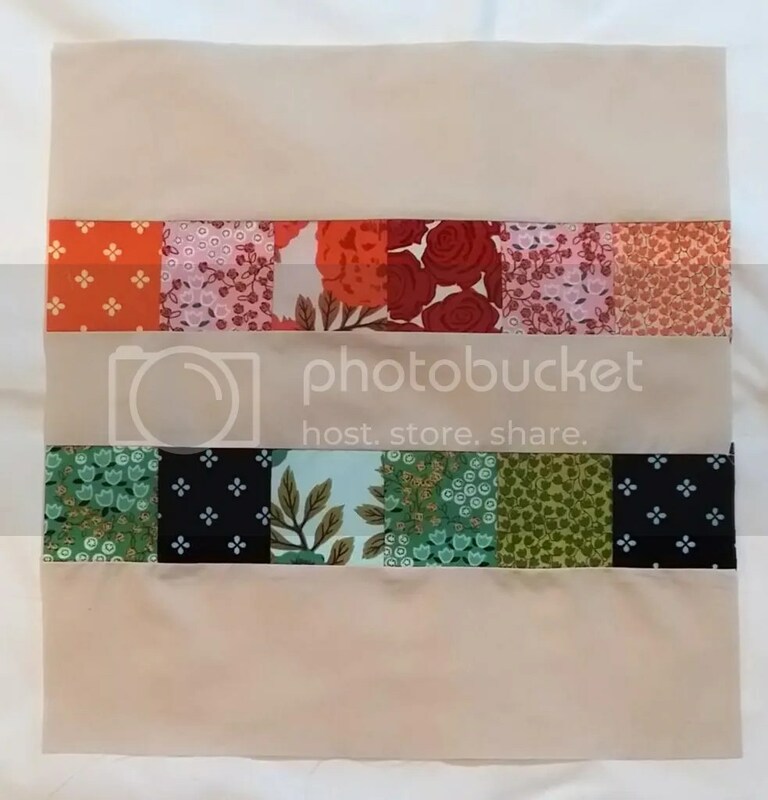 This month I made it back to JoAnn’s and found another print (Ivy Tangerine) that had apparently arrived late at my local store, so of course I had to buy it and introduce it into my blocks! So, the block construction was easy-peasy. It does include a partial seam, but really it isn’t difficult and from the front you can’t even tell which seam was the partial seam! 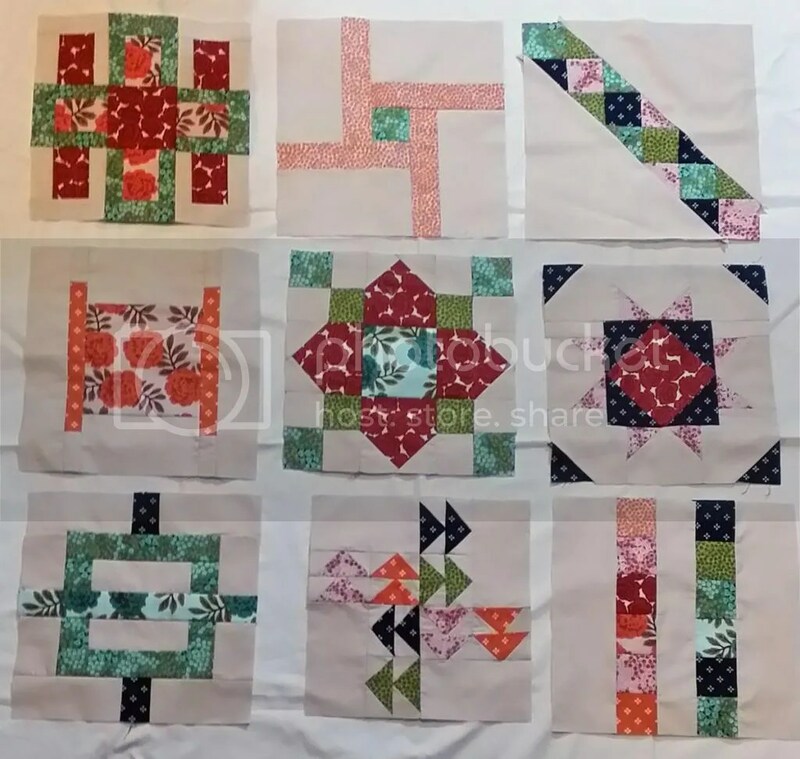 And since we are six months into the quilt a long, I decided to post a photo of all six blocks that I have completed so far! Half way there! 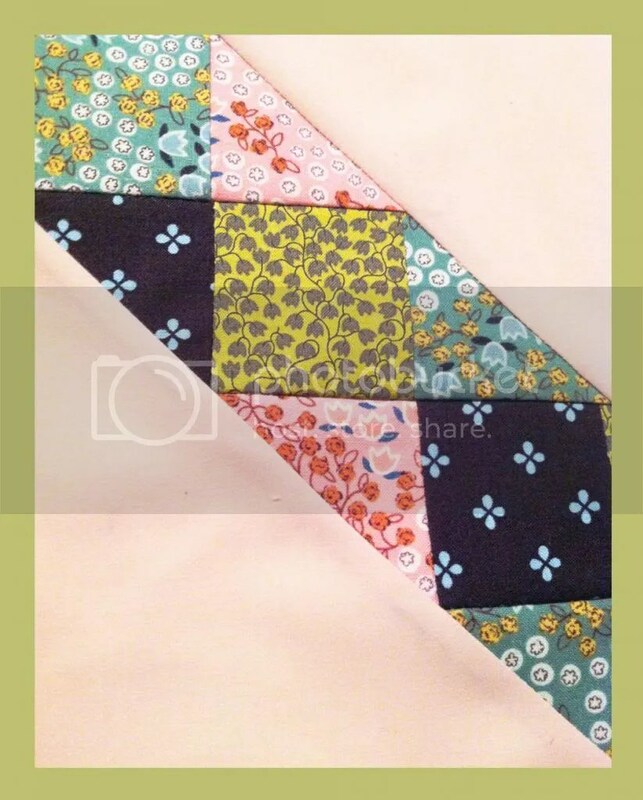 Are you working on any quilts right now? 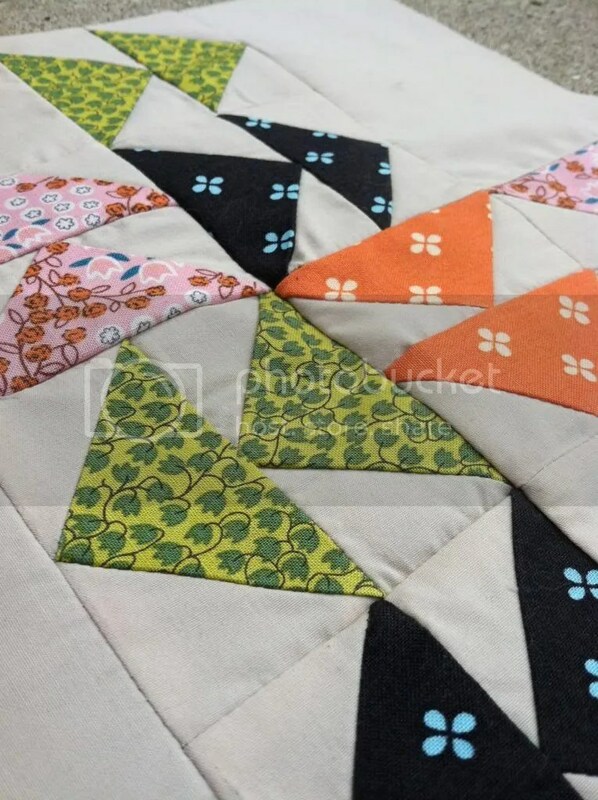 Did you join the Modern Blocks Quilt a Long? Let me know what you are up to in the comments! Woohoo! 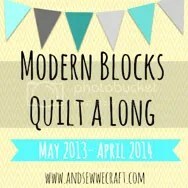 With this post I announce that I am all caught up in the And Sew We Craft Modern Block Quilt a Long! 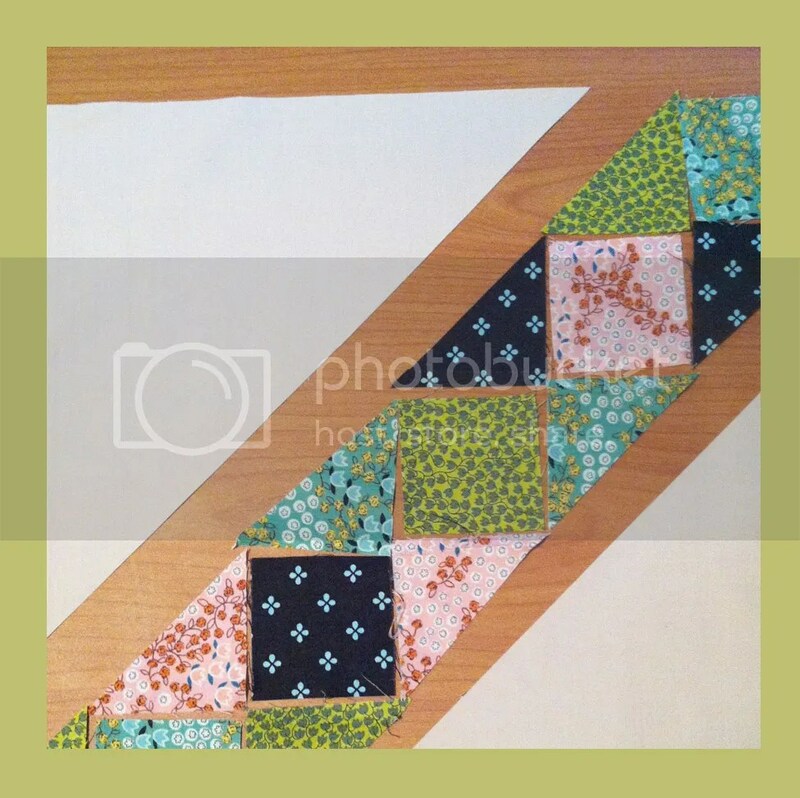 The first block of the Quilt a Long was this May: Follow the Leader block. This was the fourth and final block I needed to piece in order to get caught up, since I started 3 months late! Above I have shared Amy, at And Sew We Craft‘s, block. 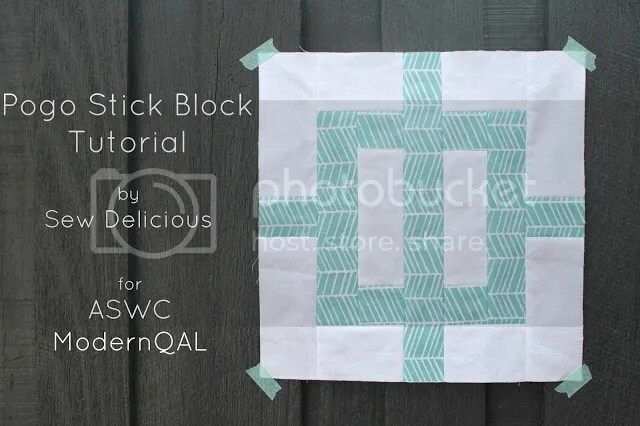 Amy has been kind enough to share the tutorial for this month’s block, and has been creating two blocks each month, one in solids and one in prints. 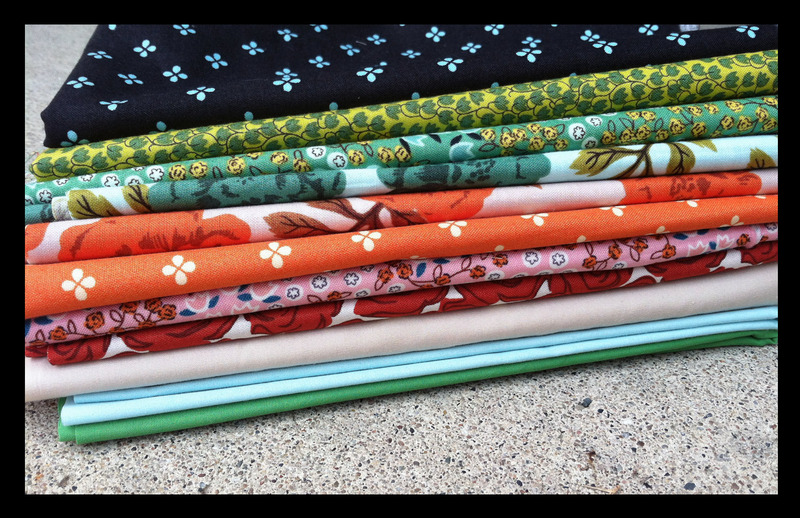 I adore her print fabric selection (which is shown in the block above), the Little Apples fabric line by Aneela Hoey, too sweet! Amy also has done an excellent job of documenting her tutorial in photos so there is no possible way to get lost! Anyway, on to my block! 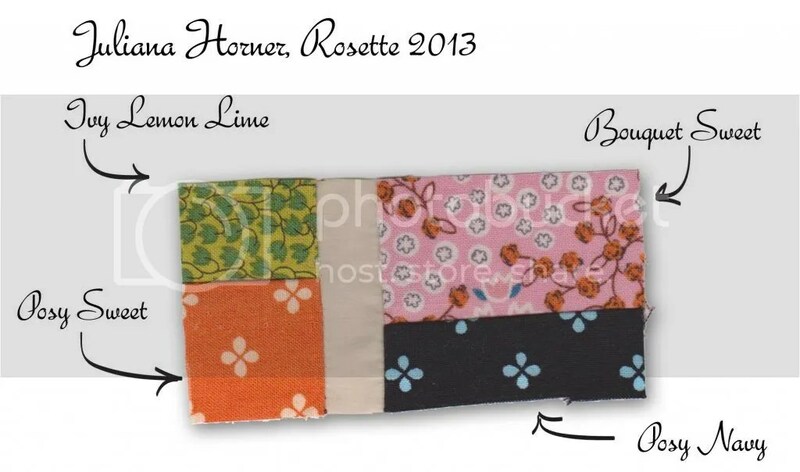 Once again I chose to work with fabrics from the 2013 Rosette fabric line by Juliana Horner for JoAnns Fabric. This line was only released on July 21st, so I am an early adopter of it’s wonderful blend of traditional country motifs with modern influences. 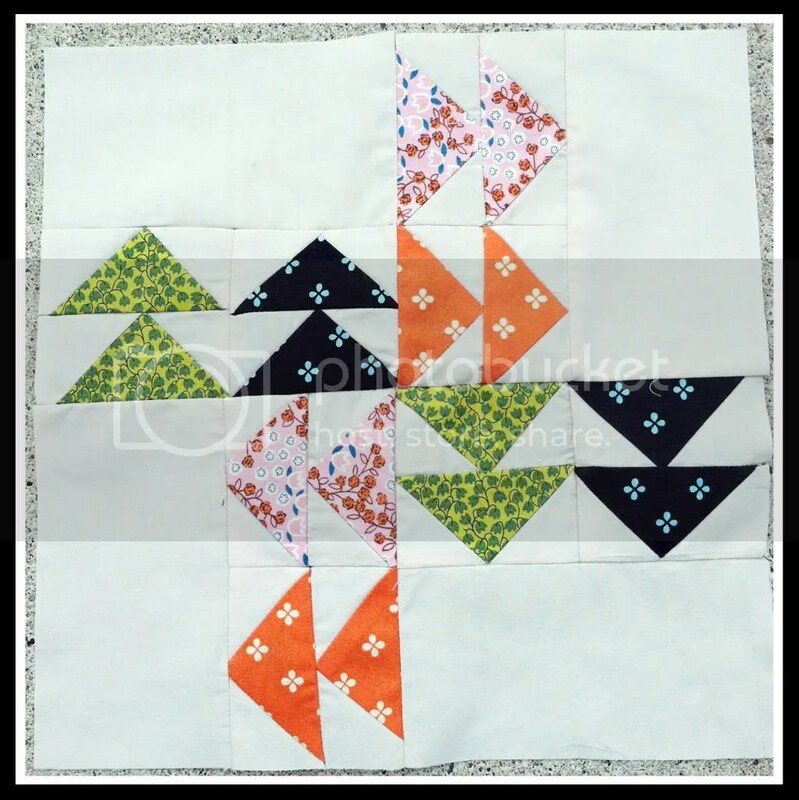 This line is one of four designer lines that JoAnns is producing as part of its Premium Quilts Collection, a wise response to the growing mass of young and modern quilters in the market. 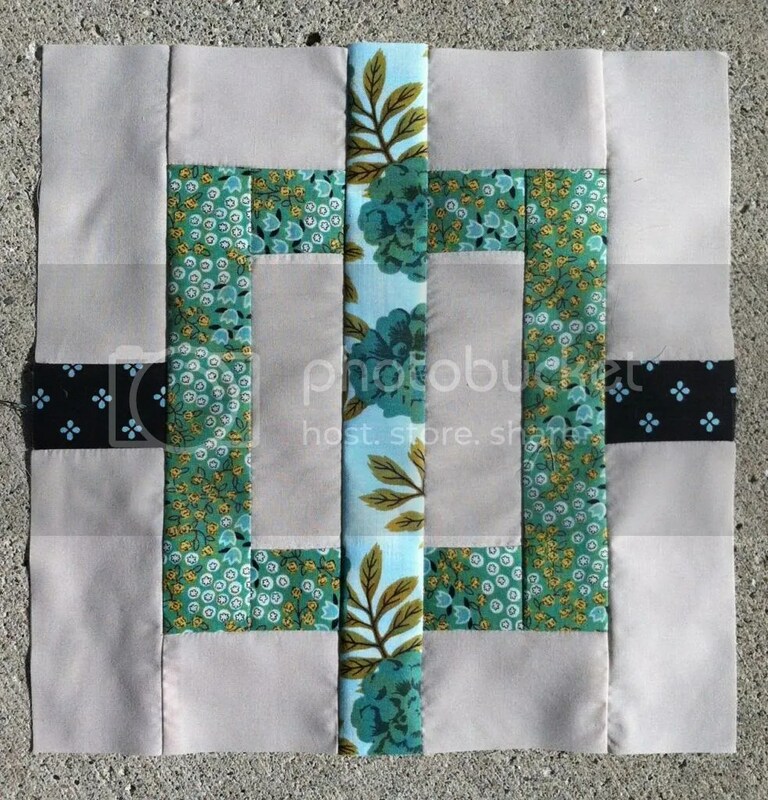 For this block, I chose to work with the Posy print in both the Navy and Sweet colorways, as well as, Bouquet Sweet and Ivy Lemon Lime. Below I have shared my handy-dandy fabric key! This block was one of the more time consuming blocks of the Quilt a Long thus far, so I understand some of the frustration other participants voiced as they completed their blocks in May. For me, however, doing this block fourth made it seem quite manageable after completing the July and August blocks! I really enjoyed putting it together and practicing my Flying Geese. I did make a few mistakes along the way, but my patience seems to be growing as I work on these because I didn’t mind ripping out a few seams and correcting the major issue. If you’re wondering what the major issue was, well you’ll notice at the center of the block you have each of your four colors represented. This occurs by alternating which color is on the right and left when you combine them into pairs (for example the Lemon Lime Ivy and the Navy Posy are a pair). 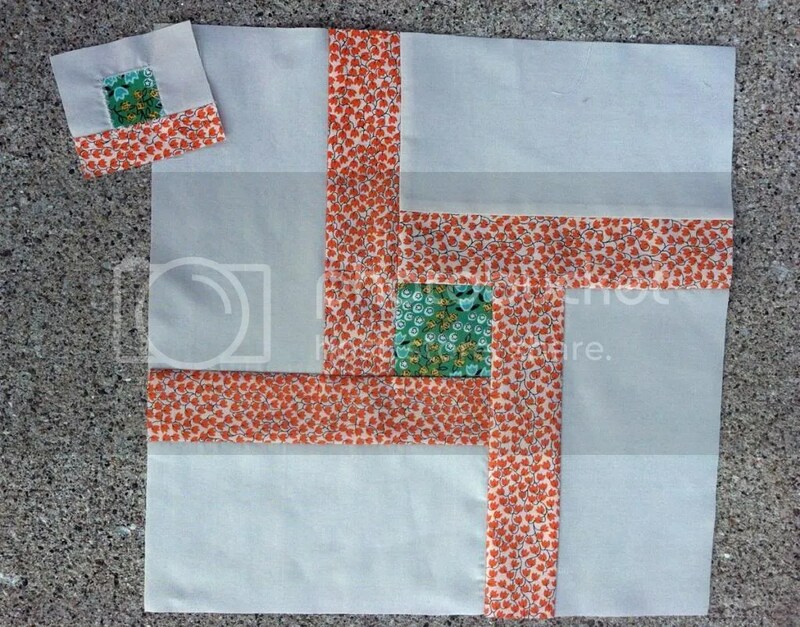 On my first attempt at completing the block, I accidentally placed them in the same position both times and my finished block had two sets of navy geese in the center. This mistake was large enough I felt the need to rip out many seams to correct it, and then re-piece the block. Other small mistakes include some imperfect point alignment and cutting off the “beaks” of a few of my geese. These are seemingly minor mistakes though and since this project is just for fun I do not feel OCD enough to correct them. Overall, I am quite happy with my Follow the Leader block. Though I am a little bummed to be caught up in the Quilt a Long, what will I do now? 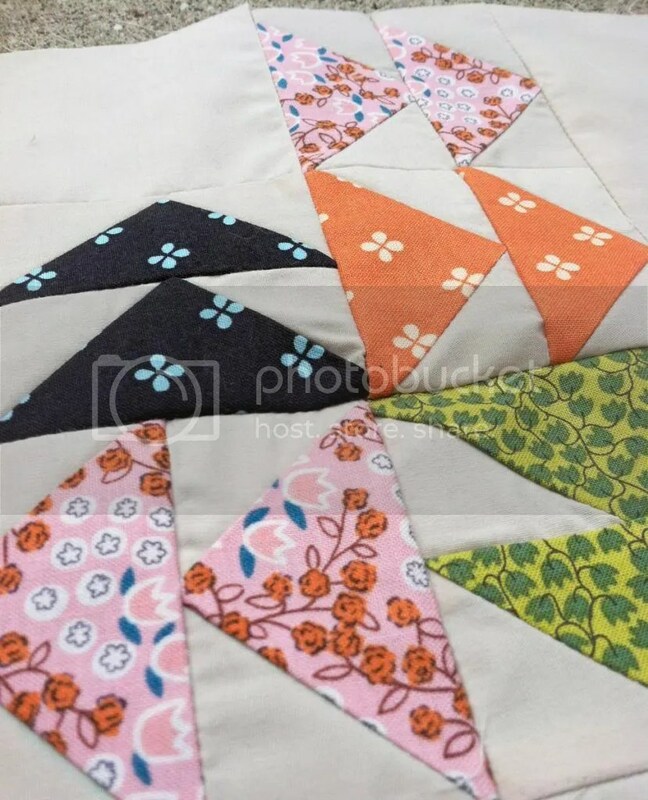 Actually, I’ve already started working on something new, as suggested by Alyce of Blossom Heart Quilts on a previous post, teeny tiny half square triangles pieced from the scraps of the Flying Geese technique. This may be my first attempt at working in the Postage Stamp size category! 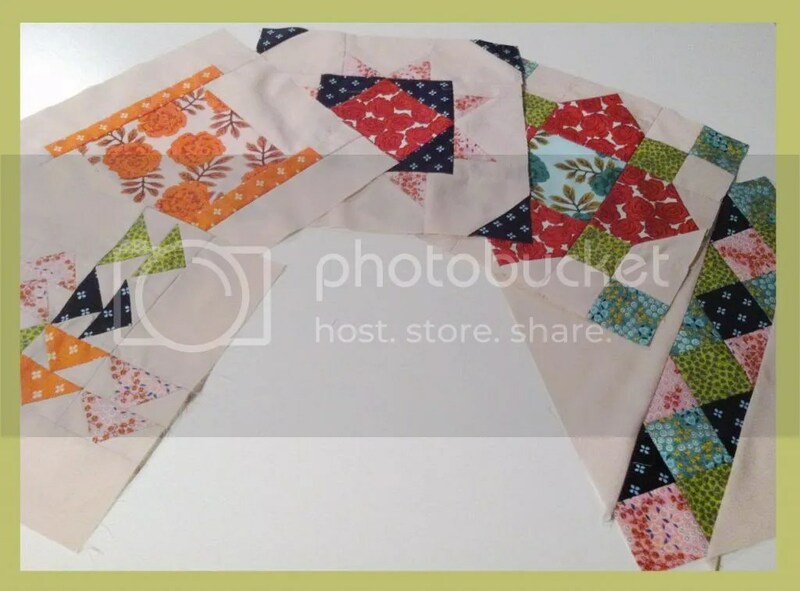 Also, I completed piecing the top of the Four Seasons table runner, but due to an early misunderstanding it is a littler shorter than desired! So I am brainstorming an attractive and modern way to change that (Photos and explanation to come soon!). Anywho, on to the rest of the day, dog walks, research, and writing! Hopefully a bike ride or lap swimming too, if weather permits! 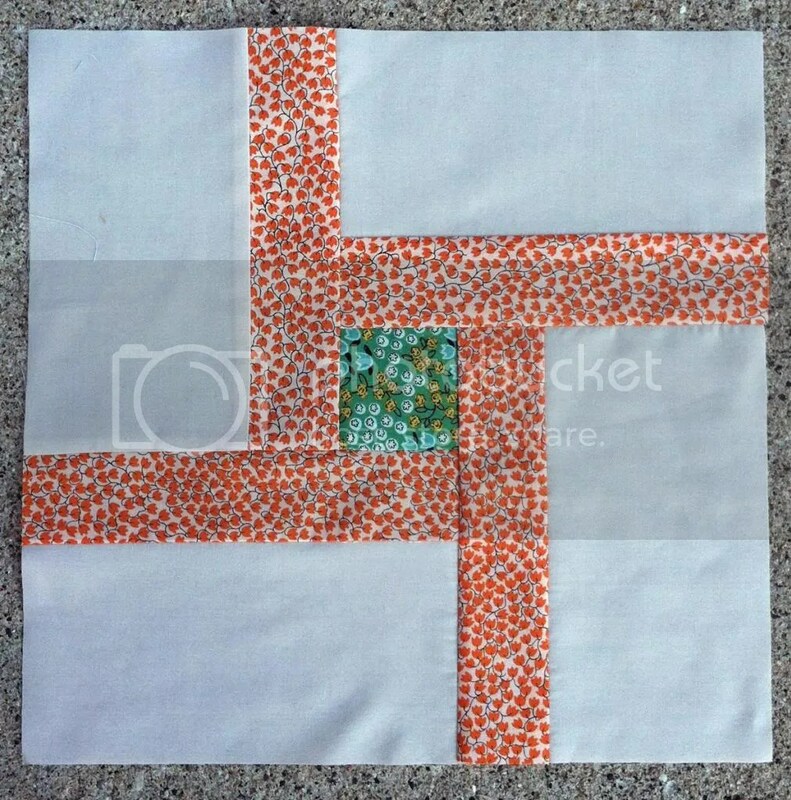 I just whipped through the June block from the Modern Block Quilt a Long! 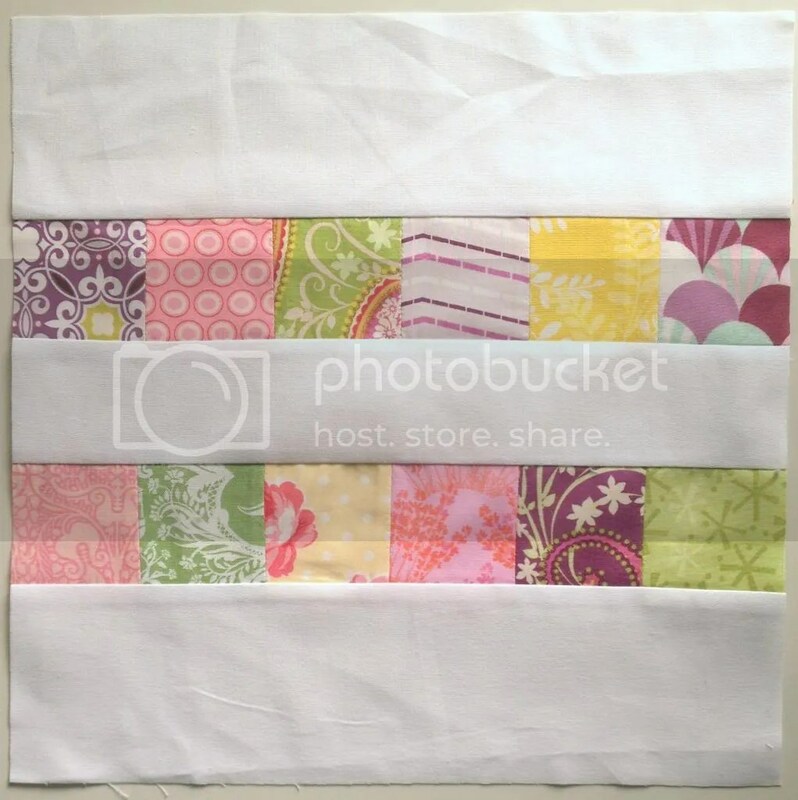 The Spool block above was sewn by Tonya at The Crafty Mummy, the host of this month’s block. 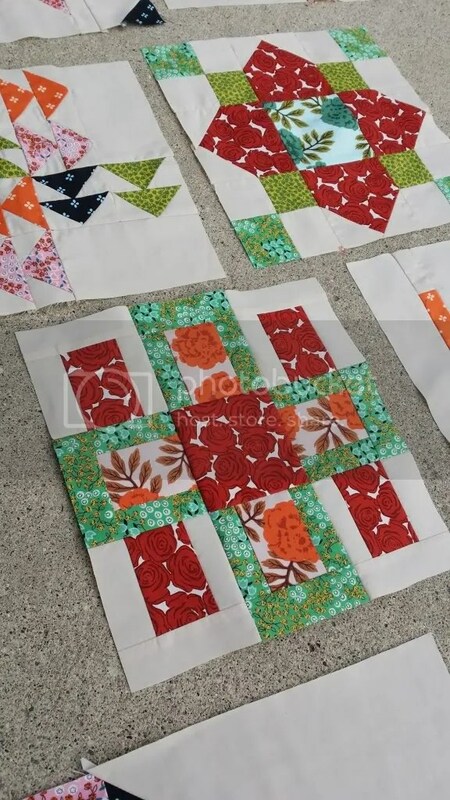 This month the block was quite simple, I really only referenced the tutorial at The Crafty Mummy to figure out the dimensions of the pieces before cutting. From there on out, I was my own with no fear! I sewed the 10 seams in a matter of minutes and am in fact quite pleased with the turnout! 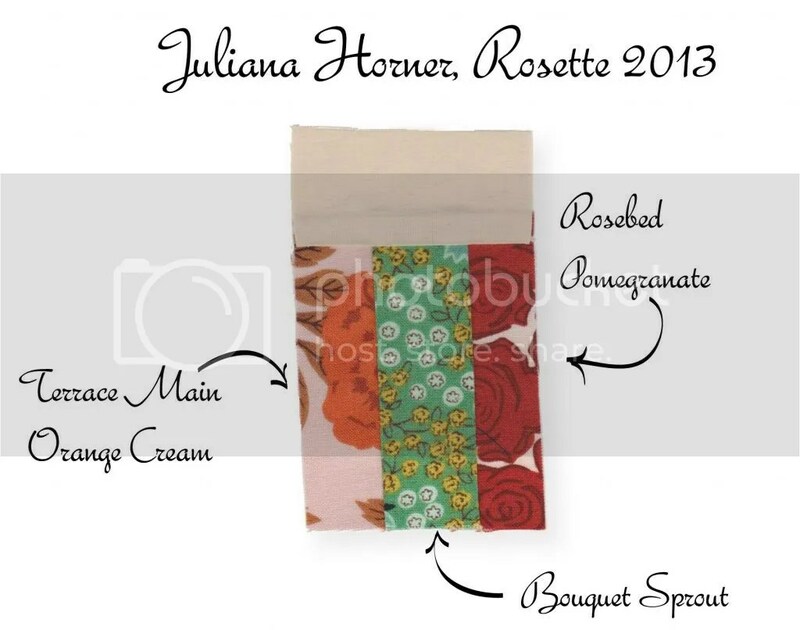 The Juliana Horner fabrics are just so darling, you can’t really go wrong. 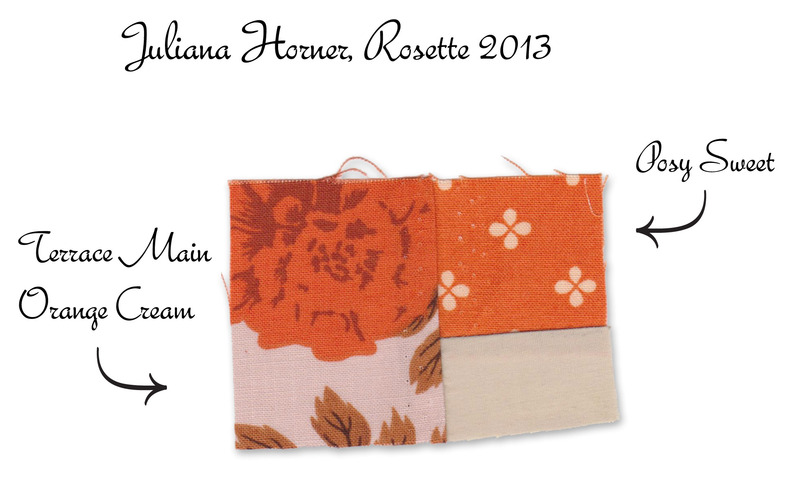 This time I chose some fabrics from the orange colorway, Posy Sweet and Terrace Main Orange Cream. This is the first block I have added the orange colorway to, but I have plans to add it to the next block (which was actually the May block)! 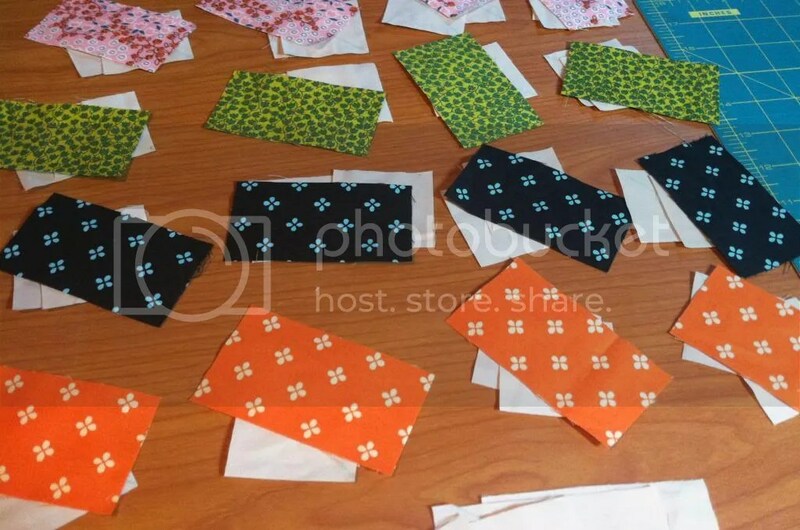 And I already have my fabric pieces cut for the Follow the Leader block hosted by Amy at And Sew We Craft. I did a few more rows of the Four Season Table Runner also, and who knows maybe I will finish that up, and the Follow the Leader block this weekend! 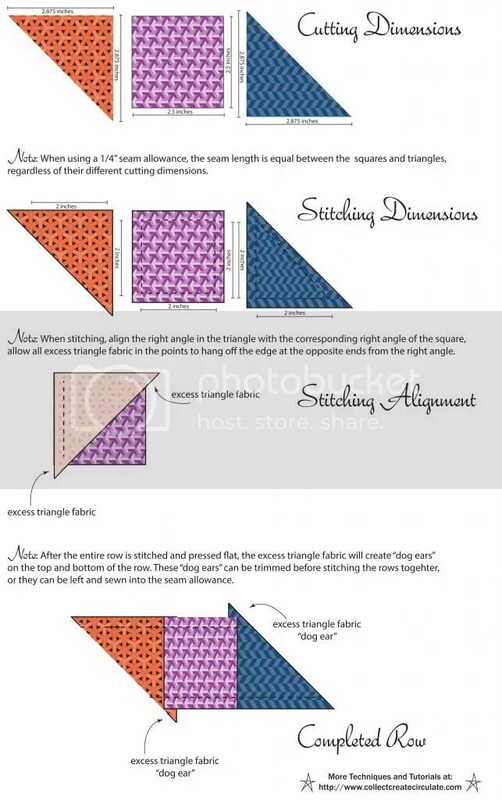 Wouldn’t that be a productive week of piecing?!?! The July block for the And Sew We Craft Modern Blocks Quilt A Long is a block titled Megan’s Star. 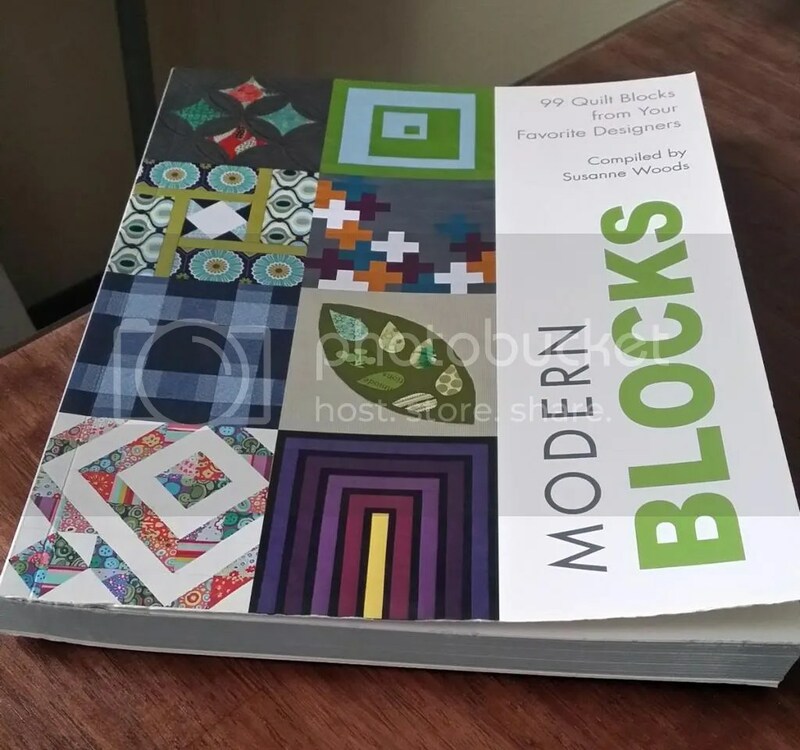 The block originally appears on page 113 in the book Modern Blocks compiled by Susanne Woods. 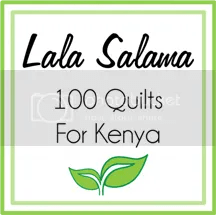 I don’t own this book, so I can’t speak to its greatness, but all the blocks for the quilt a long are from it so maybe after a year of blocks I will have an opinion. One of the excellent things about a Quilt A Long is that you don’t need to own the books. Each month a tutorial is created to guide you through the creation of your own block. This month the tutorial was posted by Samelia’s Mum. 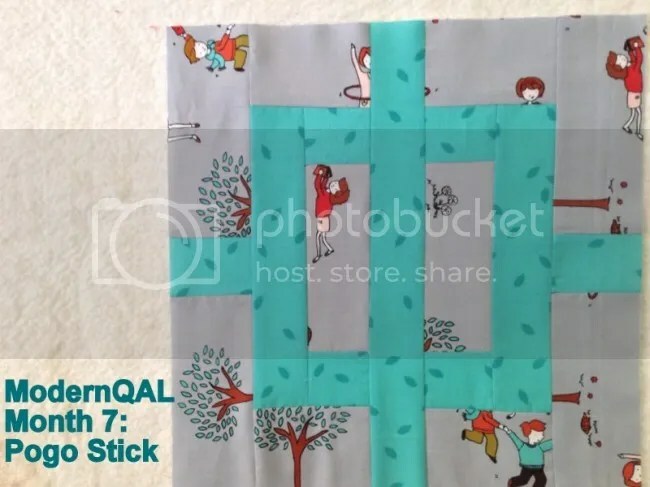 The tutorial called for at least four fabrics (3 prints and 1 solid was recommended) but you could easily increase the number of fabrics for a more busy block if that is your thing. 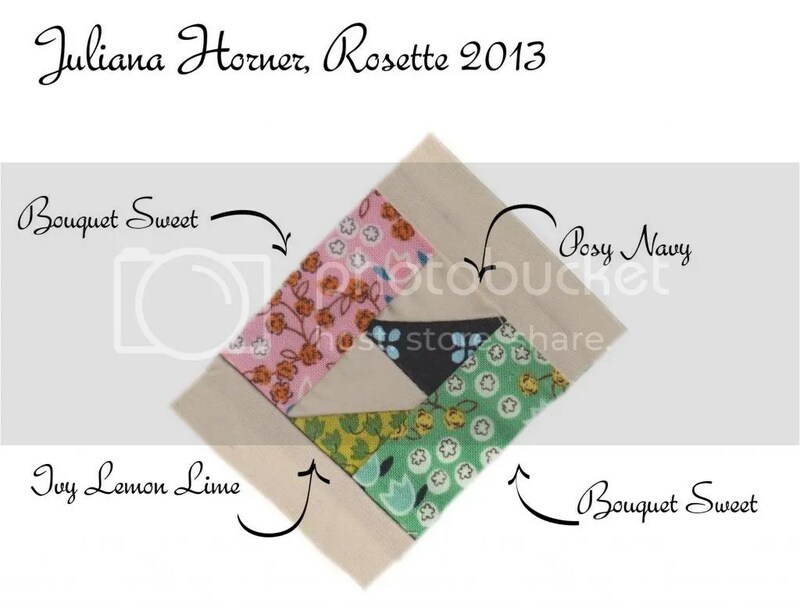 I decided to call on my latest purchase from Jo-Ann’s Fabrics, the Rosette line by Juliana Horner. 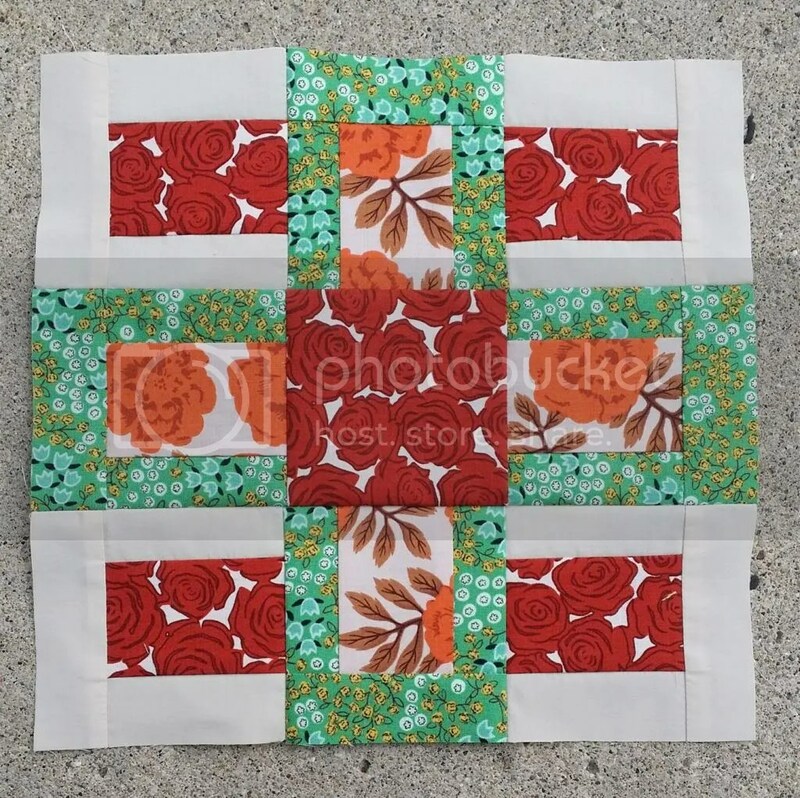 Rosette was only released last month, July 21, 2013, in Jo-Ann’s Fabrics across the country, and I kind of loved it immediately when I saw it, before I even knew what I was looking at. Juliana (check out this video, she’s too sweet) is the daughter of one of my other favorite fabric designers, Anna Maria Horner. Anyway! 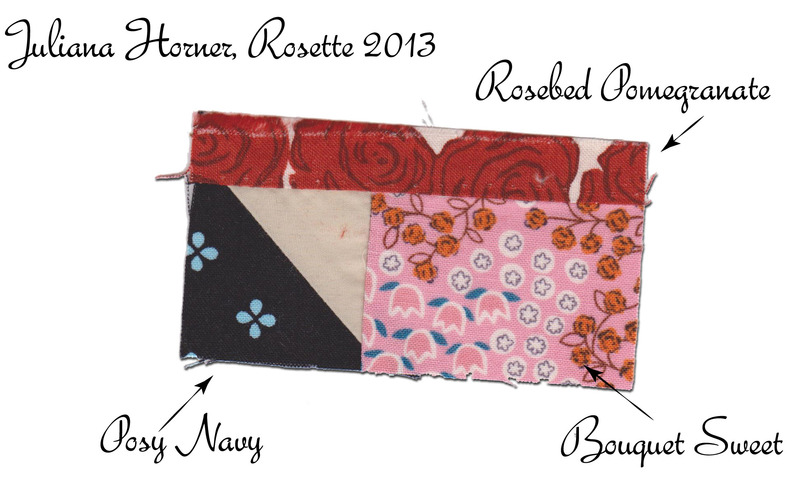 My block utilizes three of the Rosette fabrics, Rosebed Pomegranate, Bouquet Sweet, and Posy Navy. I also picked a nice cheap symphony broadcloth for my solid background. 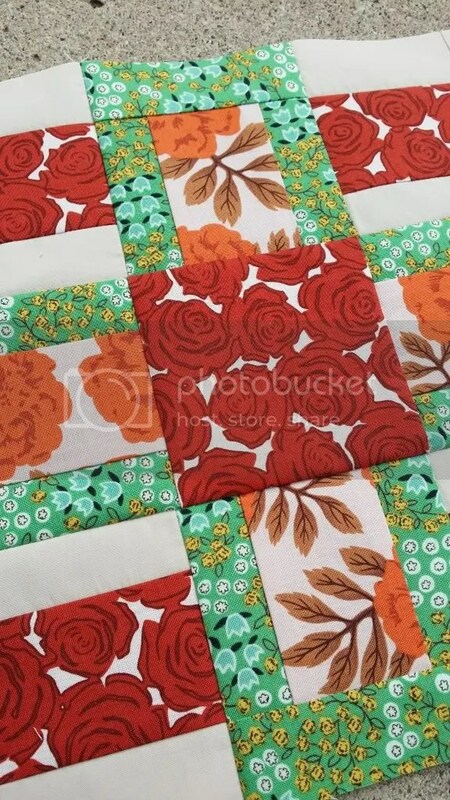 Below you’ll see a key to the fabrics I chose for this particular block. 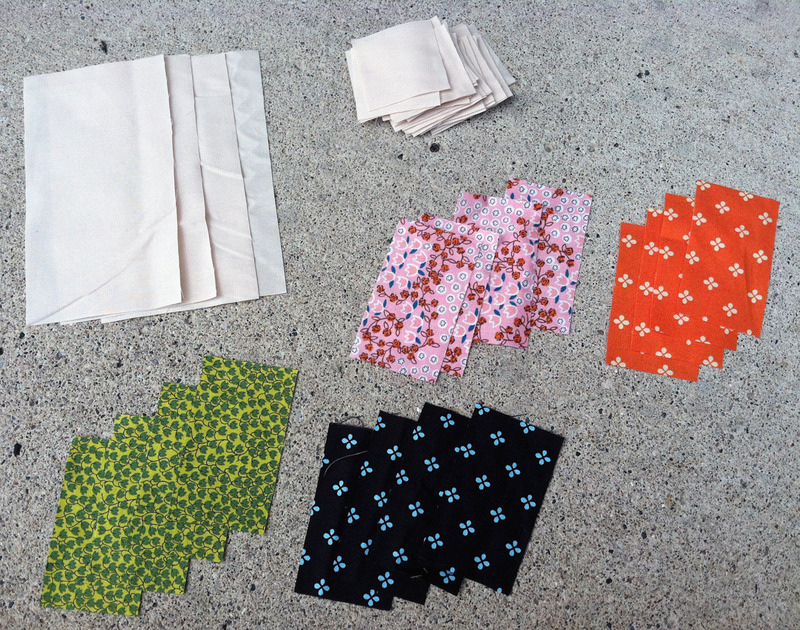 Now, on to the piecing. 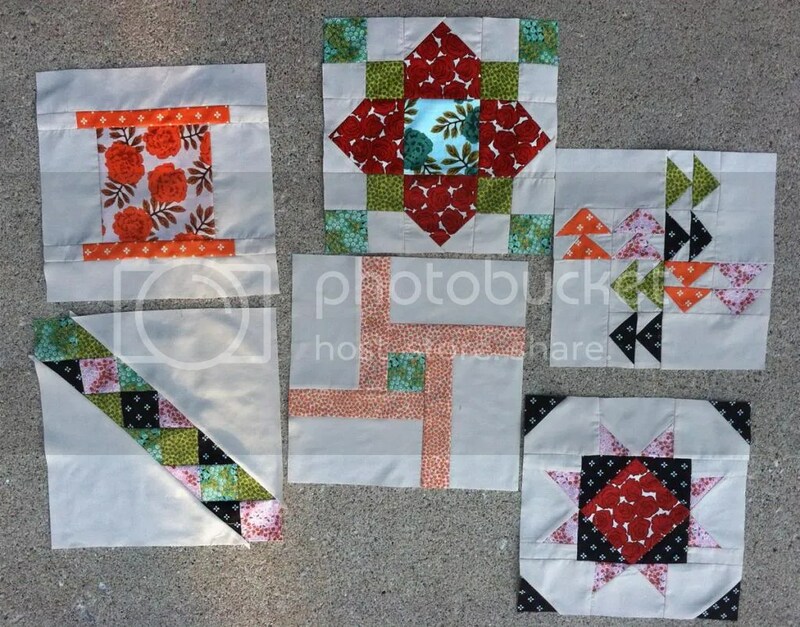 Being an occasional quilter, I am prone to a lot of mistakes. I definitely need every little detail spelled out for me. For example, I forgot that quilters use a standard seam allowance of 1/4″, being that recently I have sewed apparel mostly, I went with 1/2″. However, I doubted myself and googled it after stitching only one seam. 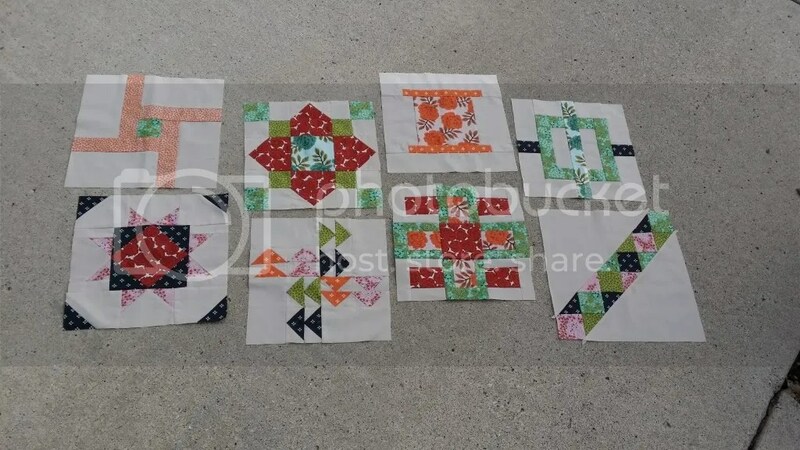 I also got a little over excited and cut way too many of my blocks into adorable little half squares, forgetting that this wasn’t that particular piecing method. So I eventually re-cut a number of my pieces. But eventually I finished it! Really it is a quick block, and I bet I could do another one lickety-split. One regret would be the choice of my focal fabric, it doesn’t have the type of motif that really makes it pop. And somehow, it looks very traditional colorwise, which was not my intention… C’est la vie. 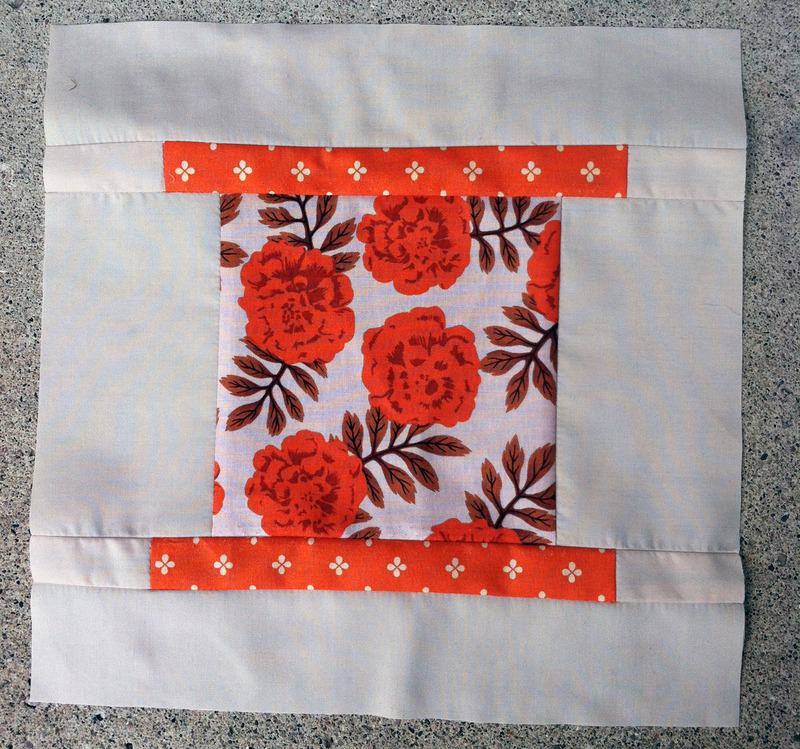 On to the August block, and then back to catch the May and June blocks.